Gas furnaces are some of the most popular heating systems in the country. There’s little to dislike about them: they’re fast, they’re effective, and they can be decently efficient. It’s true there is the risk of complications with the gas and heating components, but as long as you’re getting regular maintenance on the furnace from a heating repair expert in Westlake, OH, there’s nothing to worry about. But there is one part of your furnace you have to be really careful about … and that would be the air filter. Luckily, all you have to do is change it out. 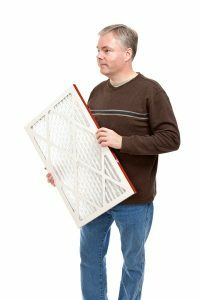 We’ll explain below a few serious problems that can be caused by a dirty air filter (and in case changing the air filter doesn’t help, we’ll offer a few alternatives, too).